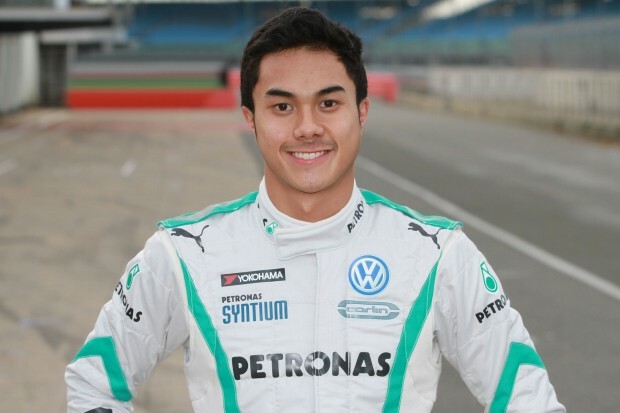 Leading Malaysian international racing driver, Jazeman Jaafar, will be evaluating his options for the 2014 season in the coming weeks with GP2 and Formula Renault 3.5 Series (FR3.5) tests. The PETRONAS Talent Programme driver recently finished his debut season in Formula Renault 3.5 Series, with a third place podium high in Monaco and four top ten finishes. The two main options for racing at Jazeman’s level are GP2 and FR3.5 and with official test sessions being held for both series in November he will be using the opportunity to explore the opportunities available to him for next year. Jazeman will take part in a three-day GP2 test in Abu Dhabi, an event which follows on from the weekend’s Formula One event at the venue, which also features the GP2 Series. Driving with Carlin, the team which he has raced with for the last four years in British F3 and FR3.5 Series, Jazeman will be driving a single seater at Abu Dhabi for the first time, having raced in a sportscar on his previous visit in early 2012. The FR3.5 Series test takes place a few weeks after the GP2 test, in Motorland Aragon, and Jazeman will be reviewing the options available to him for a return to the series at this test. Jazeman will take to the Abu Dhabi circuit from Tuesday 5th to Thursday 7th November. The FR3.5 Series test takes place from 12th to 14th November. The Macau Grand Prix is held from 16th to 17th November and will be Jazeman’s final race of the season.